The Book of Unwritten Tales 2 comes to Nintendo Switch years after debuting on other platforms. The game is a point click story-telling adventure full of humor and fun. You have icons around the setting that you interact with to gain history about the world or further the story of the game. And you will be clicking them, a lot. Many items you have to interact with multiple times. While the gameplay is simple and sometimes repetitive, it does not take away from the overall experience. The story is what The Book of Unwritten Tales is really, all about. And the story indeed shines with one caveat. You really need to have played The Book of Unwritten Tales. 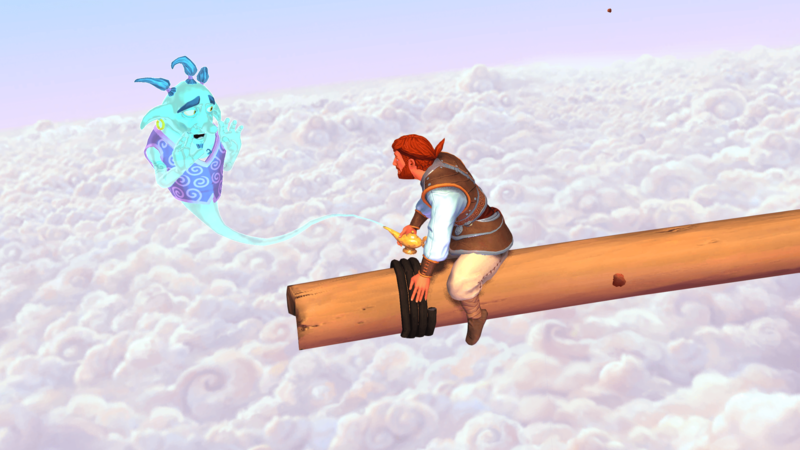 Many of The Book of Unwritten Tales story beats are callbacks to the original game. If you have played and enjoyed The Book of Unwritten Tales, you will surely enjoy The Book of Unwritten Tales 2. It is more of the same in the best possible way. The characters are quirky and memorable. Nate, Wilbur, Ivo, and Critter are all great characters. The voice acting in the game is top notch. The acting really pulls you into the light-hearted story. Fans of fantasy adventures like Game of Thrones, Lord of the Rings or World of Warcraft will find the game’s story to be a joy. There are references to many fantasy properties strewn throughout The Book of Unwritten Tales 2. The graphics on the Switch are great both in handheld mode and on the big screen. The colors are vibrant and the fairytale fantasy world comes to life, even if it is fairly static. The music in the game does a great job of setting the tone. The audio and video package serves the story well. The Book of Unwritten Tales 2 is great fun for fans of the fantasy genre of entertainment, and anyone who enjoys point and click adventure games. If this is you, I highly recommend you give the game a go, but I must emphasize the need to have played The Book of Unwritten Tales. If you are caught up The Book of Unwritten Tales 2 is a great buy.